Harvest 2016 is well and truly over in Vinoland, but it has been over much longer at TWWIAGE. It is warmer up north in Oakville and harvest happened sooner, and finished faster, than here in the Coombsville tundra. Grape-picking may be at an end, and wine is, well, still making, but now, in what is now considered the off-season for all things grape and wine, is a great time to partake in a little continuing education. This morning, the winemaker at TWWIAGE took me, and several of my co-workers, on a field trip to some neighbouring Oakville vineyards. 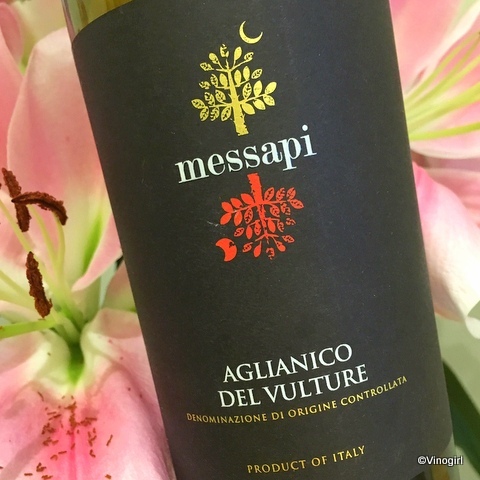 TWWIAGE does buy a small amount of grapes from a handful of well established Oakville growers with whom the winemaker, and the owners of TWWIAGE, have forged strong and stable relationships. Buying grapes from other growers means that a winery can produce more wine to sell. But purchasing fruit grown on different soils, from distinct micro-climates and with alternative clone/rootstock/training combinations can lead to various nuances and complexities in the final blend. Our little band of wily winery-workers trudged through five vineyards in all, committing to memory soil-types, trellising systems and crop yield: it was very educational. And fun, for a geek like me. Even though Thanksgiving is not an English holiday I think it is good to have a day when all of us count our blessings be they big, or small. I am thankful for family, friends, good health, a roof over my head and a full tummy. And, last but not least, Vinodog 2. (I just love her to death). Vinomaker is currently enjoying a chilled glass of 2014, Groth Chardonnay (Napa Valley AVA). Of course he is. I haven't decided what I am going to quaff today, but I have a pretty good idea that it is going to be sparkling. Let's get this holiday season started! This mess may look like a Rothko, Pollack, or some other impossible-to-interpret abstract foolishness, but in actual fact it is an emptied half ton Macro Bin which until just recently held fermenting Petite Sirah. 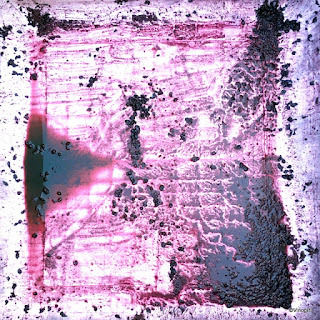 Just look at that colour extraction, it's stupendous! All fermentation in Vinoland is now finished. And every last drop of wine, late harvest wine and a couple of batches of 'port' are pressed off and barreled down. Phew, it was a long harvest this year (and I was absent for two weeks of it even). Good job, Vinomaker. 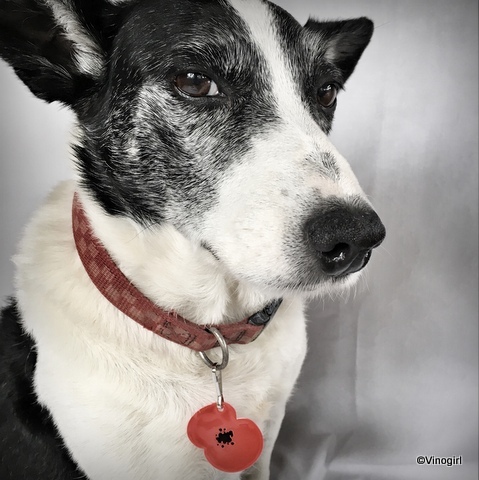 Vinodog 2 and I are wearing our poppies today in remembrance of all the men and women who fought fearlessly, and sacrificed much in countless wars and conflicts, to safeguard our freedom and liberty. Brave beyond modern day comprehension, the veterans of both World Wars deserve to have their sacrifices commemorated. But let us not forget those who are currently serving in the armed forces: cheers to them. Last night wine: 2016, part 2. Goodbye Blighty. It's time for my holiday to come to an end. My last night wine this visit was a lovely Tempranillo that Thud had purchased in Marks & Spencer (once again). The 2012 Bellota Tempranillo was a lovely wine; fruity, balanced, smooth and very, very moreish. A delightful wine with which to toast the end of a wonderful visit. I'm not a gin drinker, but all my family do like the odd gin and tonic. I don't really like spirits at all, actually. So I had to ask Thud what he thought of this gin: he said it's alright. I just like the bottle. It has a Liverbird on it, so why wouldn't I like it? 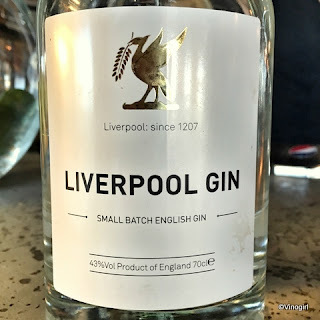 Liverpool Gin is indeed made in Liverpool. I'm a sucker for good packaging and I don't care if that makes me seem shallow. The makers of Liverpool Gin have ginned up the label with a bit of gold to appeal to people like me, except I'm never going to buy it, ever. It's still a very appealing bottle. The Bonfire Night that wasn't, that was Bonfire Night, 2016. Ho hum. I think I mentioned in my previous post that the weather was forecast to turn gangster: it didn't disappoint. Although it was dry, it was just far too windy to have a bonfire. Not that there is the danger of a bonfire getting out of control in England (unlike perhaps it would in tinderbox-dry California), but it was just too unpleasant to be outside. I did see lots of other fireworks, off in the distance, but they did not totally satisfy my inner pyromaniac. Thud had made some delicious treacle toffee earlier in the day, so I did get to partake of something traditional this Bommy Night. In lieu of a list of pyrotechnic-wonderment, I thought I'd mention a quick round up of some wines that I have had in the past week. Paired with a nice Bolognese that Thud made, the 2014 Messapi, Aglianico (DOC Acerenza), purchased in Marks & Spencer, was quite nice (though a tad bit oaky). And at a couple of lunches out with my Vinomum at The Red Fox pub in Thornton Hough, I took advantage of the establishment's 'By the Glass' wine list and had a glass each of; a 2015 Terre Di Passione Pinot Grigio (Veneto IGT); 2015 Crusan Colombard/Sauvignon Blanc (Cotes de Gascogne); and a 2015 Lanya Sauvignon Blanc (Chile). All passable quaffing whites, with perhaps the Sauvignon Blanc edging out the other two by a nose. Literally, a very aromatic wine. The weather has been unusually nice whilst I have been home. Except for a drizzly few hours last Friday it has been dry, sunny and, surprisingly, warmer than average for the time of year. This morning Thud and I drove over to New Brighton for a coffee. It was a beautiful autumn morning. The wind that comes across the Irish Sea into Liverpool Bay, and then up the River Mersey, is often stronger than anything I have ever experienced in the USA. But with little in the way of wind this morning, just a bracing breeze, I was able to walk a little ways along the promenade and take this photograph. Oh! I really do like to be beside the seaside. Of course, the weather is forecast to turn gangster on Friday, sigh. But the good weather has meant that I have been able to spend sometime outside with Thud. Whilst he has been busy building a sandstone wall and a fire pit, I have assisted with raking leaves, feeding chickens and, most importantly, building a bonfire. Whoo hoo!